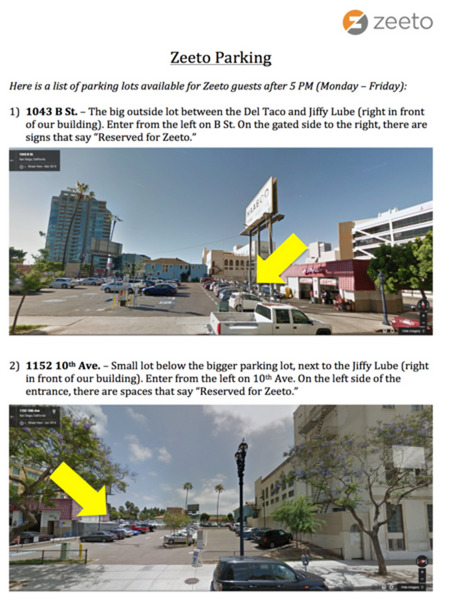 @ 7:30 pm you can park in any available Zeeto parking spots (see the map). Want to give a talk? We welcome people of all backgrounds and skill levels. In keeping with the sandiego.js spirit, please be friendly, welcoming, and respectful. Please be respectful of others and respect our code of conduct (http://sandiegojs.org/code-of-conduct.html). Our website is sandiegojs.org (http://sandiegojs.org/). Our IRC channel (http://sandiegojs.org/chat-room.html) is #sandiegojs on FreeNode. We also have a Slack channel.